What on earth is it? And would you want it? Honestly, I don't know what it really is - but I do know I'm happy to have it. If you're a wire a jewelry maker, you probably want it too. I'm guessing it weighs at least 8 lbs. And I'll probably never use it all in my lifetime. 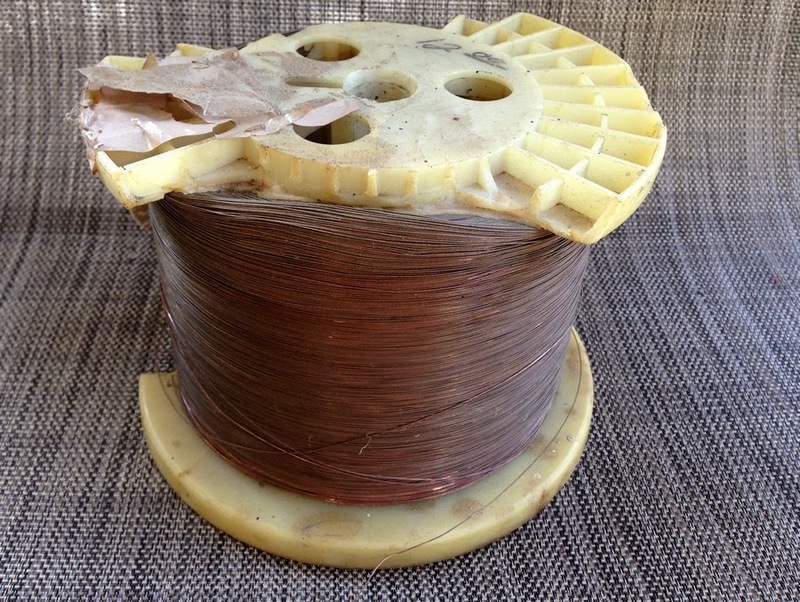 This ugly dirty thing is a HUGE coil of 28g solid copper wire. I was skeptical when my Dad brought it over the other day, but a few swipes down the wire with some steel wool reveals that gorgeous copper shine. My Dad thinks it is from an electrical transformer of some sort. It must have been sitting in his shop for a long time - and if you look closely at the first picture, you'll see it has a price of $12.00 on it. Probably a garage sale or swap meet find at one point. 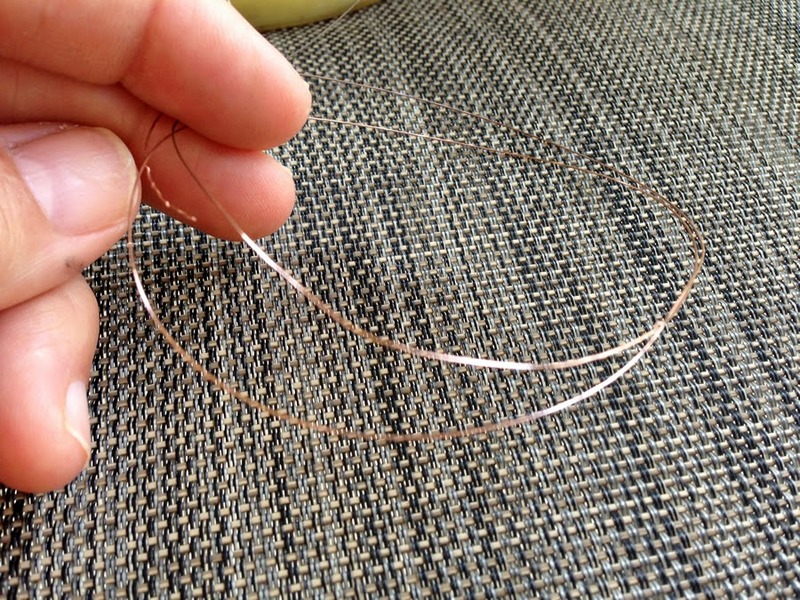 28g is thin for wire - close to being wire thread. I've already played with it a little bit and been very pleased with the results. Some things I am planning for it: wire crochet, viking knit, herringbone weave - and one I just thought of - wire macrame!! Won't that be neat! I'm looking forward to playing with this. And even better - I don't think I ever have to worry about running out! Anything else you can think of that I can do with all of this fabulous wire? I'm going to need more projects I think! Hurray! What a find! I've just recently learned Viking knit, and just love it! I've found that 28 gauge is a little too thin for my taste, so I double it up and do a single knit with two wires. I haven't ventured into double-double, but plan to soon. I think I'll try Viking Knit when I'm on vacation. I'm assuming it doesn't use too many tools - right? I can't wait to try macrame - but until then I've just been fiddling with this fine wire - using it where ever I might have considered cord or thread. 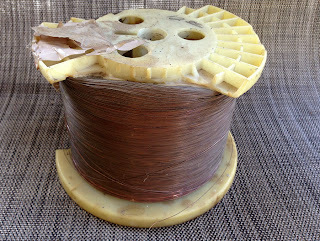 It's really versatile - and I'm really trying to figure out how I'll ever use this much copper wire -lol. Thanks for keeping up with my work on my blog. I've been keeping busy lately and it's fun to have comments! Ooh...I'm jealous! 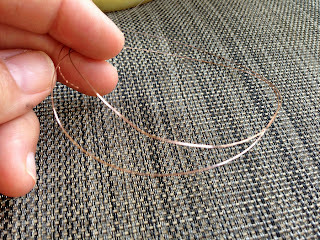 28g is great for wire weaving (ala Nicole Hanna and Perri Jackson) and it's the only gauge my fave wire supplier Santa Fe Jewelry Supplies doesn't carry, so I had to order on ebay and could only get coated (electrical purpose). With that supply, you just might have to learn how to weave!